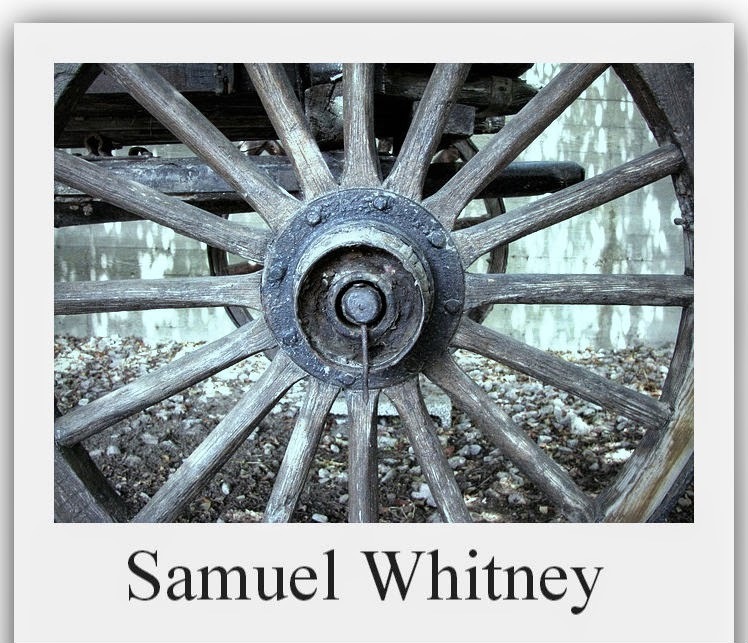 52 Ancestors: #15 Samuel Whitney --Who Or What What Were You Driving Around? I am participating in the 52 Ancestors in 52 Weeks Challenge put forth by Amy Johnson Crow of the blog No Story Too Small. If you aren't familiar with the challenge be sure to check out her blog. 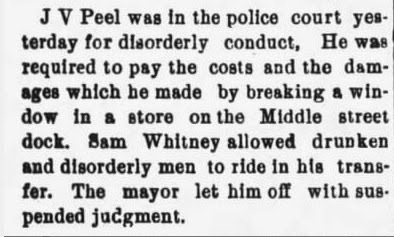 Recently, I found a couple mentions of my 2nd great grandfather, Samuel Whitney, in old New Bern, NC newspapers that got me wondering, who or what was he driving around in his wagon? I should probably give a little background information on the man first before I show the articles so here goes. Samuel Whitney was the father to my great grandmother Carrie Ethel Whitney Harrison. According to his death certificate, he was born October 1856 in Hyde County, NC. He lived there in his youth but by 1883 was residing in New Bern, Craven County, NC. I know this because he, his future wife, and mother in law purchased land in the Dryborough area of the city in July of that year. To see a copy of that deed, check out my post Samuel Whitney Makes A Purchase. "North Carolina, County Marriages, 1762-1979 ," index and images, FamilySearch https://familysearch.org/pal:/MM9.1.1/VXTS-18T : accessed 20 May 2014), Samuel Whitney and Sarah Harris, 08 Aug 1883; citing Craven, North Carolina, United States; FHL microfilm 000288302. Samuel Whitney married Sarah Jane Harris on August 8, 1883. Samuel and Sarah would raise 6 children on the land that they had purchased. The address they resided at would go on to be named 10 Brown's Alley in the city of New Bern. One of the coolest experiences I've had in my life, was paging through the Whitney/Harrison family bible and seeing Samuel's own handwriting. There's just something about an experience like that that brings you closer to understanding and knowing your ancestors. I started to picture in my mind what he was like. I saw a family man and someone who was spiritual. I envisioned Samuel as being rather industrious and that he was a good provider for his family. My 2nd great grandfather's occupation was a drayman. A dray is a low heavy cart used for carrying goods usually pulled by horses, mules, or oxen. I knew from my family's oral history that Samuel delivered seafood into New Bern. Now, lets take a look at those newspaper articles I came across recently. Sam Whitney...Who or what were you driving around to be getting yourself in this mess? Okay, okay. This is a perfect example of why one has to keep an open mind when researching your ancestors. They were people and as we all know, people are not perfect. There have been times in my life where I have been in the wrong place at the wrong time or hanging out perhaps with the wrong people. Sometimes, stuff goes down. Enough said. LOL! Too funny! A friend and I had just been talking about all the time we wasted being impulsively young. Hey Victori, it wasn't time wasted. It was just being young. :) Thanks for your comment. Hopefully, that bad crowd paid him for a ride in his wagon! What a coincidence. My parents live in New Bern, North Carolina and I was married there. It's a beautiful town with a very active historical commission. Middle Street is right in the heart of the old commercial district and loaded with wonderful shops and restaurants, many of which have condos on the upper floors. I sure hope they paid him Schalene. Thanks for information and for stopping by!